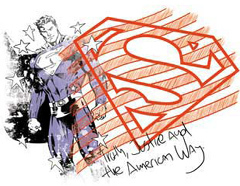 This Superman T-shirt features Superman next to S logo underneath the American flag. 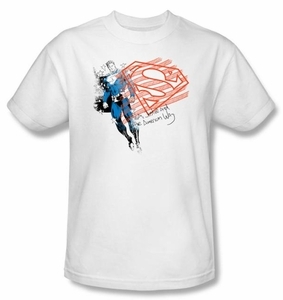 Superman T-shirt is an awesome 100% preshrunk cotton t-shirt for any superman fan. Superman is a fictional comic book superhero appearing in publications by DC Comics.